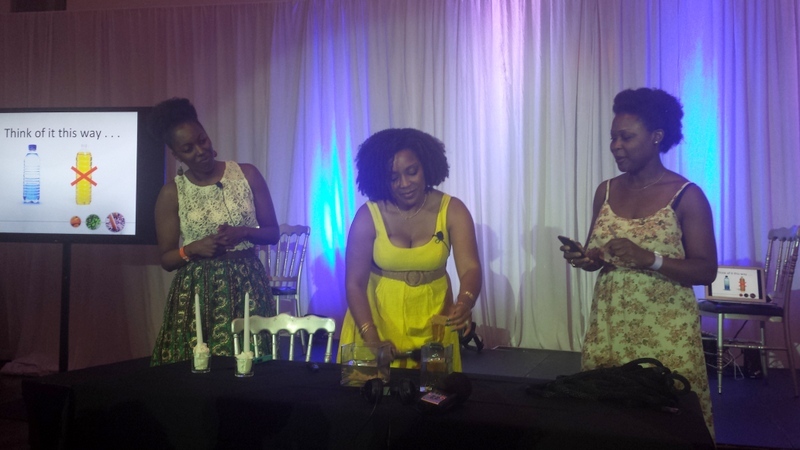 What do you get when you bring together natural hair industry experts, stylists, product distributors, bloggers, vloggers, other hair-lebrities, naturalistas, curlistas and transitioners all into a swanky hotel in downtown Montréal? 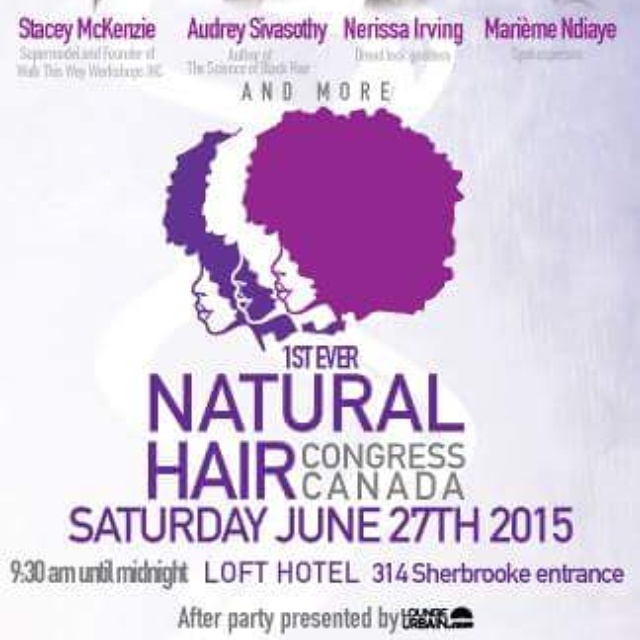 The 1st Natural Hair Congress Canada! 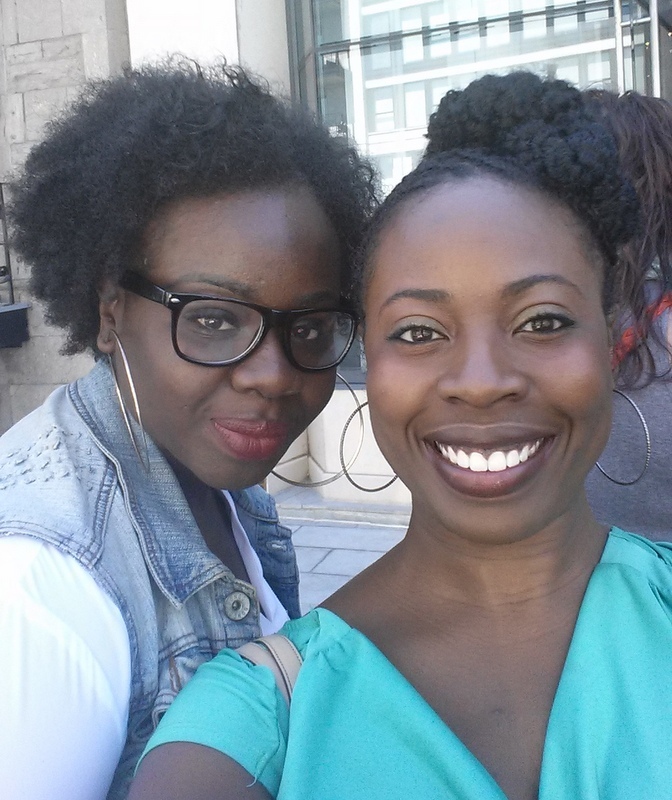 Last Saturday, my sister, Sarah of Sarah Naomi’s Hair Care and Beauty, and I had the privilege of attending this wonderful celebration of natural hair and Black beauty, hosted by Montréal’s own Inhairitance Curl Bar. 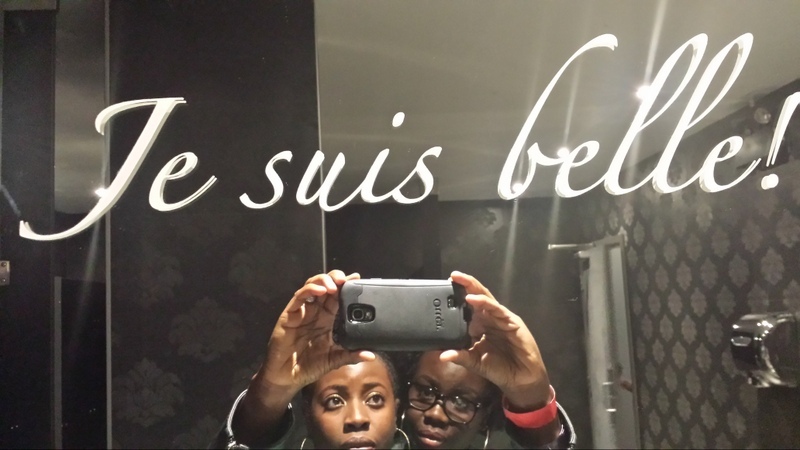 The Congress’ theme was “I am beautiful”/”Je suis belle”; and rightly so, because we are! The Black Hair Care Bible – a must-have book! There were two options for the Congress: the Audrey Davis-Sivasothy Package and the Nerissa Erving Package. 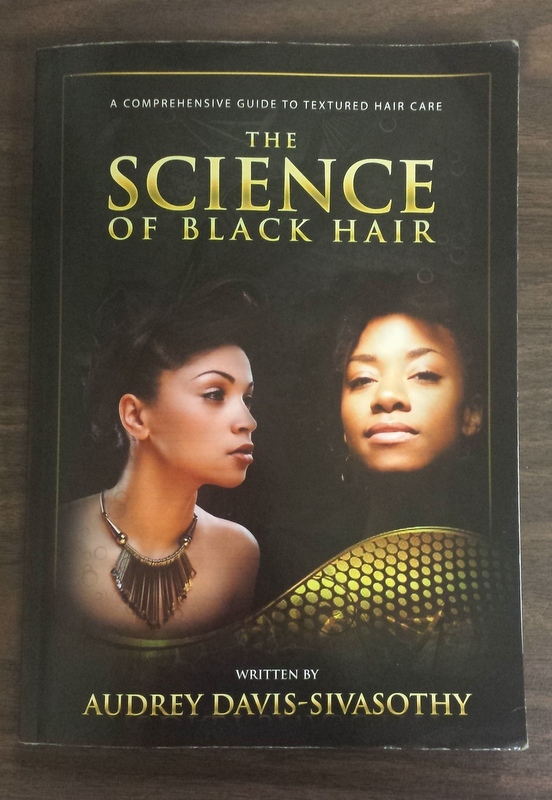 My hubby had recently bought me my own copy of “The Science of Black Hair” (or, what I call, “The Black Hair Care Bible”) by Audrey Davis-Sivasothy, so I was super-excited for the opportunity to get to learn from THE natural hair care guru herself! Sarah and I got the all-day Sivasothy package, which also allowed us to attend the Hair Show, Natural Hair Styling Competition and Cocktail that evening. We started off the day by quickly checking out the vendor tables in the lobby, before heading to our first session: “Maximizing Your Hair’s Potential with The Science of Black Hair” (or Natural Hair Care 101), facilitated by Audrey-Davis Sivasothy. During the workshop, Audrey described the chemical properties of hair itself and illustrated how and why textured hair reacts the way when we apply hair products to it, through Dr-Oz-style demonstrations. 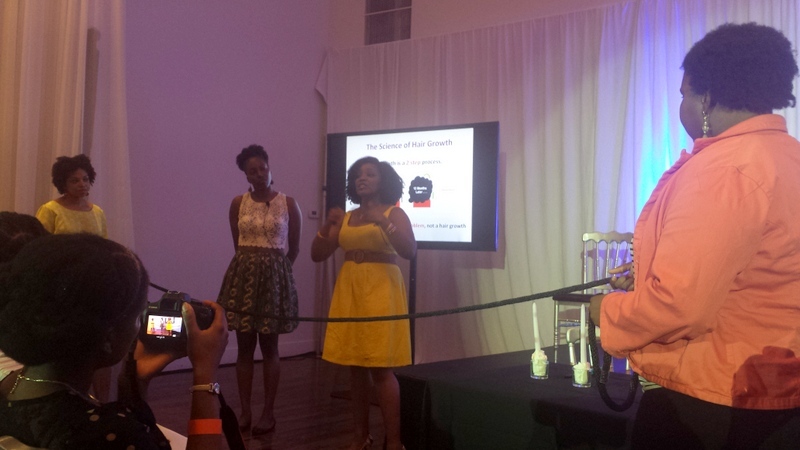 Her workshop helped to dispel certain commonplace myths about Black hair- the main ones being that Black hair doesn’t grow and that water is our enemy. After grabbing some yummy (healthy) eats from the Copper Branch Power Foods table, we headed to the “For Type 4s Only” workshop, facilitated by Dr. Susan Walker of Earthtones Naturals, based in Toronto. As a multi-textured Type 4 (I’ve got 3 different textures happening on my head! ), I found this workshop to be particularly helpful, as Susan explained the characteristics of Type 4 hair- to help us understand its strengths and its limitations- and also provided specific healthy hair regimen tips and styling options for this hair type. In the afternoon, we learned about the “Do’s and Don’t’s of Protective Styling”, from Monique London of London Ivy Natural and Organic Products. 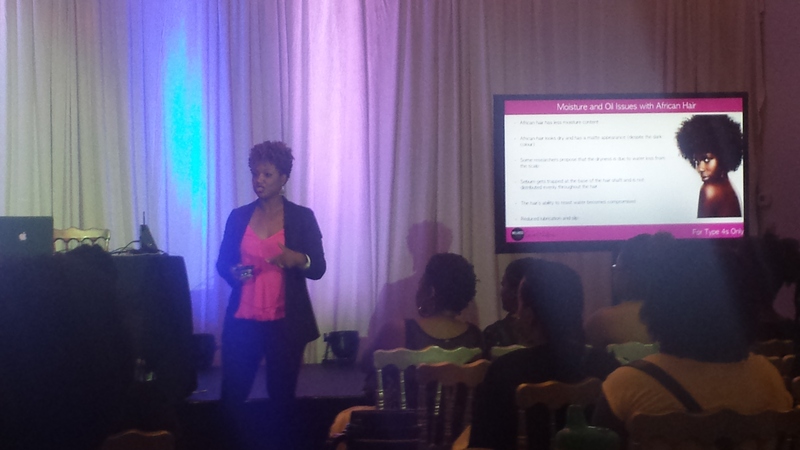 Monique highlighted the attention and care that needs to be taken when handling textured hair, especially when installing and taking down protective styles, such as extensions and weaves. It was a good reminder to all of us that though natural hair may feel coarse, it is quite fragile, and thus requires a lot of TLC! 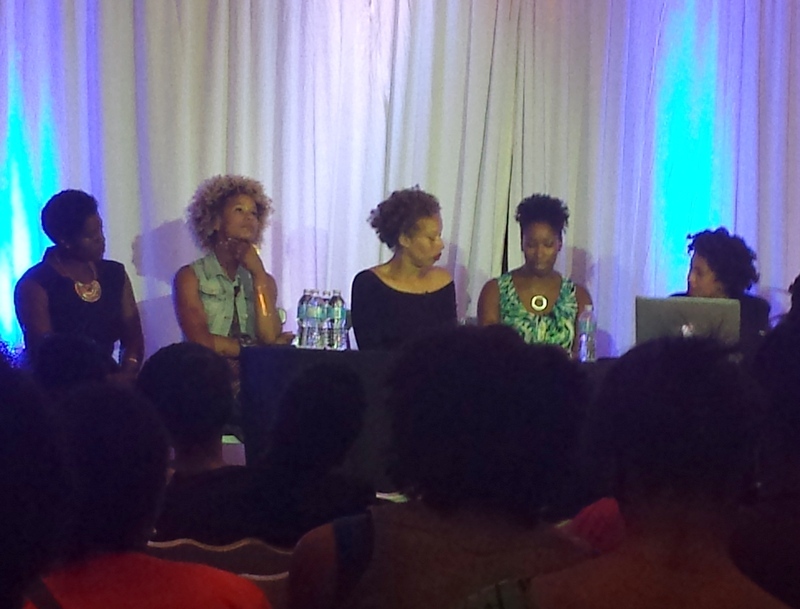 We finished up the afternoon by attending the “Working while Natural” panel discussion, featuring international supermodel Stacey McKenzie; singer and Inhairitance spokesperson Marième Ndiaye; Senior Project Manager of Strategic Planning & NPI Team, Bell Canada, Joy Diaz; attorney Maître Mona Lisa Prosper; and CTV anchor and journalist, Maya Johnson. During the discussion, these professionals discussed whether wearing natural hair has presented and/or still does present an obstacle to their career advancement. They shared their own experiences with “tress stress” (click here to see my blog post on this topic), and how they’ve worked to overcome it; how to deal with hair discrimination in the workplace; and how their natural aesthetic has actually helped them, in some instances. After eating dinner off-site, Sarah and I headed back to the Loft Hotel to attend the hairshow, which showcased magnificent ancient African hairdos, as interpreted by the Inhairitance stylists; as well as a Canada-wide hair stylist competition, featuring three of the nation’s best natural hair stylists. Paula Whitelocke of Curly Hair Designs in Ottawa was crowned “Canada’s Best Natural Stylist” for completing the most wearable and aesthetically-pleasing hairdo in 15 minutes. 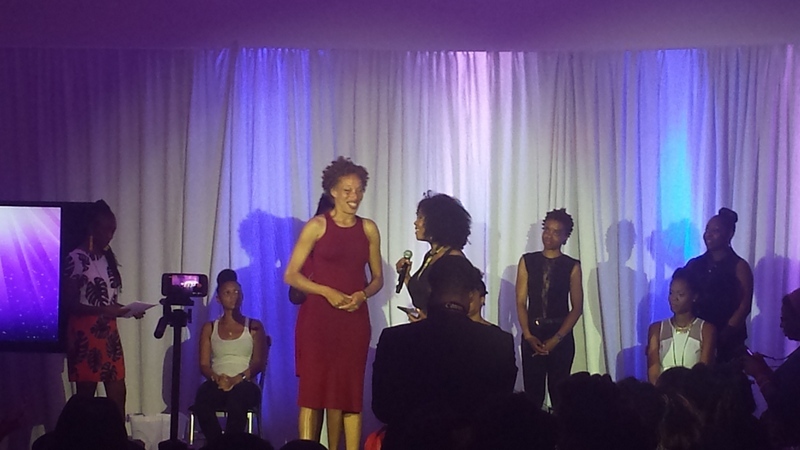 Supermodel Stacey McKenzie also received an award for her outstanding contributions as an ambassador for Canadian naturalistas around the world. The night ended off with some good music from the African Diaspora, cocktails and hors d’oeuvres at the networking mixer. 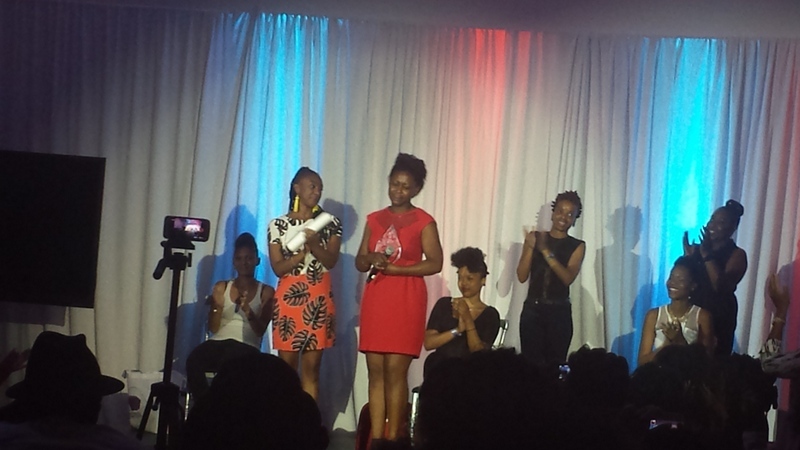 Overall, the Natural Hair Congress Canada was a success, and was definitely worth the drive to Montréal! 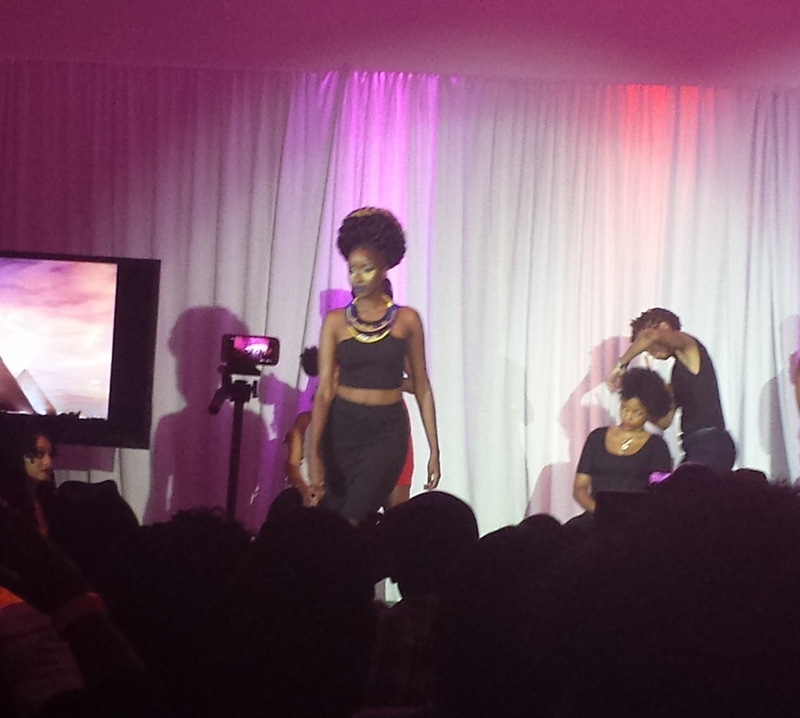 It was empowering to be an environment where textured hair was being not only demystified but was also being celebrated! I remember the days when being natural was “weird” (I also remember being teased for it! ), so it really warmed my heart to see how many Canadian sisters are now embracing their natural textures. The hard work that Abisara Machold, Michal Harewood, and their team at Inhairitance put into this event paid off: the workshops were relevant, informative, and inspiring. 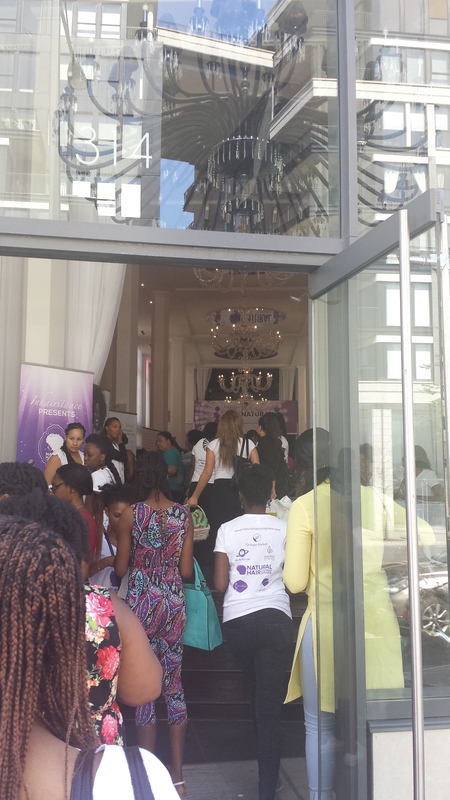 I commend the ladies at Inhairitance for helping to redefine what “beauty” means in Montréal, and for showing us, attendees, that we are indeed beautiful! ‘Looking forward to next year’s Congress, for sure! 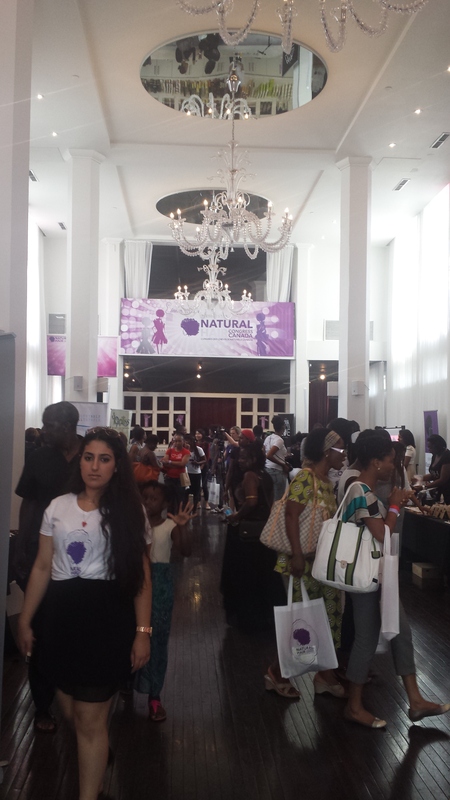 Did you attend the Natural Hair Congress Canada? What were your thoughts?